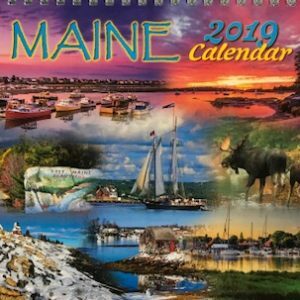 See why this is the best selling scenic Maine calendar on the market today. Explore the natural beauty of Maine in these 13 brilliant full-page photographs that make up this scenic 12-month Maine calendar. A map of Maine is included with a Facts About Maine page. Includes next year's calendar and moon phases for every month. The sturdy paper stock and thick spiral binding make the quality of this calendar in a league of its own.